Prior this Weekend Event Kyle ZL2KG, Daniel ZL2DRV & Craig ZL1RAC had discussed this around late 2015, plans had begun to form to the lead up to the Lighthouse, it was decided that we would take this to the Club as a club event as we saw a lack of on air club activities and see how much interest of attendance. Early in 2016 Kyle, Daniel Craig drove out to the Cape Egmont Lighthouse to have a scope of the Site. 2016 Around Feb/March was taken to the committee to be use as a club event to obtain permission to use the Club Call-sign ZL2AB. 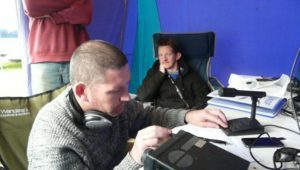 Over the course of the months plans were discussed Radios, Power Source, Antennas, with the possibility with Graeme & Ngaire to be the along the campervan, and a Tent obtained from Frank. 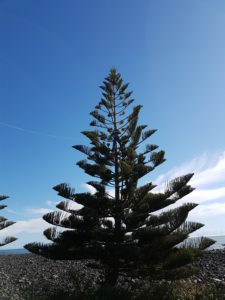 On the Day Kyle, went out to the Site early to setup the tent Site and make sure there was enough room for Ngaire & Graeme campervan, and obtain the Radio Site. 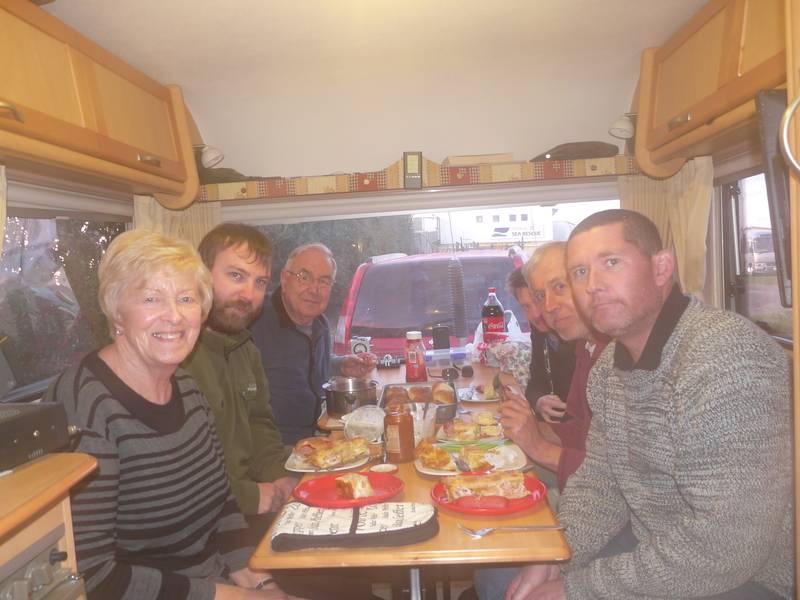 Over the Course of the Day, we were joined by Jonny ZL2JBK & Family, Bill ZL2AIB and Wife, Bazil ZL2LBJ. On the following Day with Frank ZL2BR (Club Member) and Peter ZL2QP and his Wife visiting from South Taranaki. 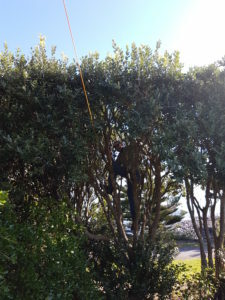 With the tent setup Craig and Daniel arrived to assist with the Setup of the Antennas, with Craig climbing trees to setup the antennas which consisted of All Band HF Windom antenna and linked Dipole for 15M, 20M & 40M which Kyle provided. Great entertainment was provided by the tree climber, who has his Callsign renamed to (1RAC = 1 Radio Antenna Climber) to Jonny’s Wife and Kids with a great deal of Laughter. With the Antennas setup in the Air, the Radios were connected up consisting of ICOM IC-706 MKII G provided by Daniel and a Yeaseu 857D by Kyle powered by Batteries supplied by Kyle and also his Buddipole System was erected. With Graeme & Ngaire arriving early afternoon with their Campervan was put into their position, Graeme & Ngaire erected up a portable 2M Beam antenna for coverage into the local 720 Repeater to speak to with Club members. Once this was done they setup there Mobile HF Screwdriver Antenna. As they got est ablished they then got their HF Rig Kenwood TS-50 running on 80M. We found on 80M the band on 80M was extremely noisy from local QRM contacts were very sparse on most bands. With most of the contacts made by Craig on 20M in the Tent. Then Basil arrived with his ZC1 which spiked some interest with club members and the public alike which later on setup on 40M, with unfortunately no contacts been made from this radio. 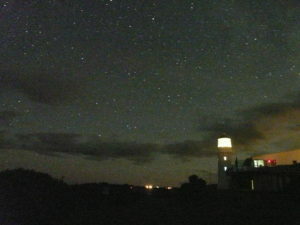 As the night fell the Great Camp Mother (Ngaire) created a Great Meal from the food providedand great social interaction, with 20M closing off the other bands didn’t provide much for the remainder of the night, so Graeme & Ngaire started using 80M without too much luck. As the night was so still and such a starry evening this lead into a great photography hobby opportunity as well to capture as there was no city night pollution around at all which made great Night Photography which was taken by Craig with Kyle overseeing, which makes the hobby into two part take another interest in the weekend, both being keen photographers. Daniel ZL2DRV received the first contact, with Craig, ZL1RAC, Graeme ZL2APV and Ngaire ZL2UJT carrying on. As the Night went on Graeme & Ngaire slept in there campervan while Kyle Slept in his vehicle, as Sunday approached Craig came back to the site at 7am, to be meet up by the camp mother with a great breakfast. We listened on the bands but was very quiet to start with, we found a bit of activity on 80M as the band slowly opened up listening to some Branch Nets. Then 80M started do fade away so we moved over to 40M then 20M. As we found the bands were noisy with QRM, Kyle, Ngaire & Craig had a Great Sunday Church Meeting regarding Radio Discussions which lasted for about 2 hours. Some very interesting topics were brought up. Was a very great group discussion with Graeme joining us in the last half hour as he was off watching the White baiters. The Club Tree Climber provided entertainment again climbing trees to bring Antennas down. Frank ZL2BR came out to help pack-up the tent and see how we did, and Peter ZL2QP and his wife from South Taranaki Branch also paid us a visit on Sunday. We packed up slowly throughout the day and made our way home Sunday evening. 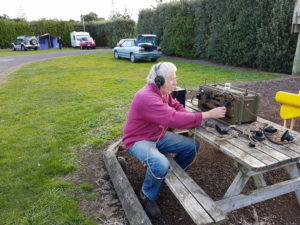 20Metres while very active due to propagation the members found it difficult to transmit any further than Australia, and be heard, We did here USA and Germany come in although trying to get a call out them was difficult as others boomed in over top of us. In total around 30 contacts were made, while that was a slight disappointment, the members who attended can honestly say that the whole weekend was thoroughly enjoyable and we will be doing it again soon to again enjoy the fellowship of a weekend.